Is ther a point at which you say, "Thant's it", no more bridges, crowns, etc.? I am 48, and have spent a fortune in the past 9 years at the dentist, not to mention the pain. I have yet another tooth this week that is hurting and it already has a crown on it! I guess I am looking at root canal now, and I just don't know how much longer I can continue to sink money into what seems to me to be a sinking ship. Is there a time at which it is okay to say no more? If you feel like you are sinking money into a sinking ship, then I would have that discussion with your dentist. He/She may have some ideas as to what is happening in your specific case. If you are not getting answers that make sense to you, get another opinion. I would suggest that you consider the benefits of retaining a natural tooth. 1. Natural teeth feel natural. When the toot is removed, the ligament that attaches the tooth to the bone is also removed. This ligament is what gives you proprioception (sensation/awaremess) of the tooth. 2. Natural teeth look natural. This same ligament also prevents the bone around the root from shrinking. When you remove the tooth, you will lose some supporting bone. 3. Retaining the natural tooth is usually less costly than replacing it once it is gone. 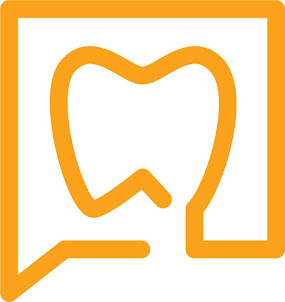 There will be times when a tooth cannot be saved, and there will be times when a comprehensive treatment plan will require the removal of a tooth. This decision will need to be made with your dentist. While removing a tooth may appear to be a good solution, it may only give you a different set of challenges. 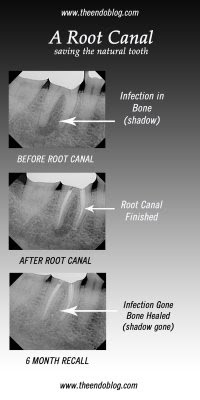 Hello, great pictures illustrating the procedure. Nice blog, i will keep looking around. I am a highly visual person so I appreciate the pictures. I'm sure most patients appreciate them too, even though they will nod their head whether they understand or not. Great post! My boyfriend got his tooth chipped, so I had to take him to the dentist. He just wanted to get his tooth pulled, but I told him to go with the root canal and crown. I'm glad he listened to me, root canals are a much better alternative to having your teeth pulled.